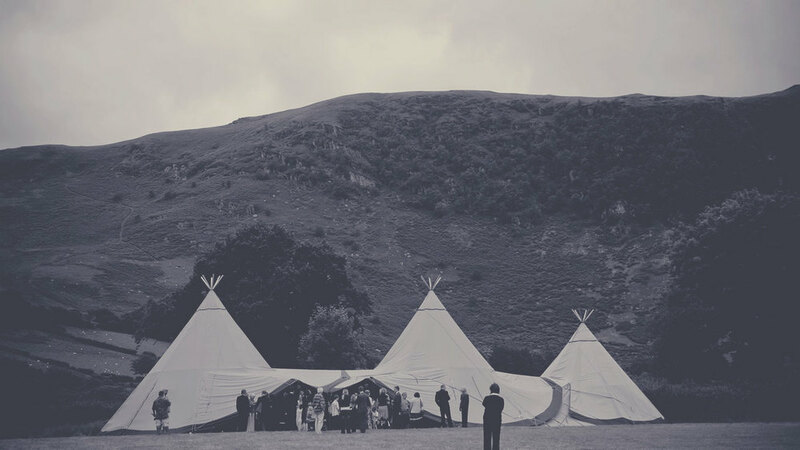 Our tipis have their roots in the traditional nordic Kåta tents used by the Sami people of northern Europe. The spacious tents are conical in shape with sturdy earth toned canvas wrapped around natural timber poles reaching 24 feet at the peak. They are made to withstand the elements with high quality weatherproof and flame retardant canvas. 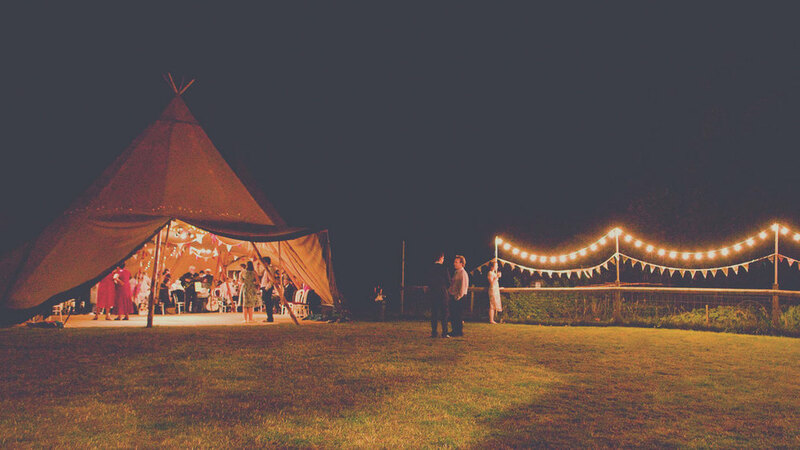 The best part about choosing Indah Events' tipis is their versatile design. This allows multiple tents to be linked together with walls up, down, or a combination of the two, which makes them the perfect option for any event during any season. With the walls raised, they provide a spacious, airy event space during warmer months and with the walls down they offer a cozy venue perfect for chillier months. Whether you are throwing an intimate backyard get together or a beautiful wedding celebration, with our tents you can create a unique and stunning atmosphere for your guests that is bound to be unforgettable! Take a look at our gallery and sample floorplans and contact us to make your dream event a reality!